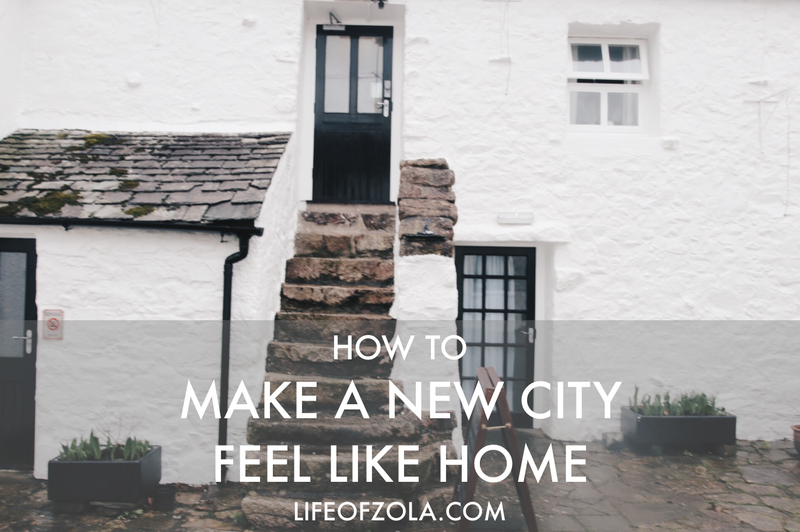 Moving to a new city can be life changing, exciting, but equally unpredictable. Once the moving boxes have been unpacked and you're sitting in your new place, there's a new set of challenges to tackle. From making new friends and navigating a different culture, to creating a place that feels like home. Moving to London last year was a big jump for me. I've always loved the opportunities the city holds, but the different pace of life has taken a lot of getting used to. Over the time I've spent settling in here, there have been several things that have helped turn a daunting experience, into something positive and exciting. Here are 5 ways to make a new home away from your old one. Your home environment plays a big part in how easy it is to settle into a new city. Whether you have your own flat where you can go decor-crazy, or you have a private room in a shared house - fill it with homely things that you love and enjoy. Maybe you like to light candles every evening, or you love to have your favourite photo prints on display. Whatever it is, make your personal space a place that you'll look forward to coming home to at the end of a long day. If you need some inspiration when it comes to making your space homely, go on Pinterest and search Home Hygge, then thank me later! Taking up a hobby or a class in something that you're interested in is a great way to meet other like-minded people, make friends, and even get involved in your local community. Doing something every week that you're passionate about (outside of work) is always helpful for finding your feet in a new place. It's a great confidence booster, and it will also help you feel more connected to where you're living. Plenty of people attend classes alone in order to make friends whilst doing something they love - so you never know who you're going to meet! Practically, getting used to your local transport system can instantly help you feel more relaxed in a new city. This is particularly helpful in a large, hectic place like London. Start by learning the buses routes to key places you'll be going to regularly. Then look for alternative routes and then create your own shortcuts. Knowing the in's and out's of a place removes the panic factor when it comes to travelling, and makes the experience so much more enjoyable. Aside from classes; going to conferences, exhibitions, or volunteering can be a great way to make friends. 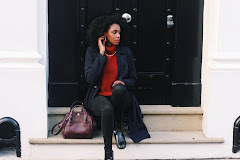 Yes, the thought of awkward small talk with strangers may make you cringe, but once you get past it and you've made great connections, you'll realise it's so worth it. The main thing is that you're getting out of the house and enjoying yourself during the process. I've also found that reconnecting with people you know in the same city is also great for settling in. Whether you know each other well or not, you already have something in common. Plus, it's always nice to know that there's a familiar face near by! Saying yes can lead you to priceless experiences that you won't get by watching Netflix every evening after work. It can be tempting to skip post-work drinks or not go to a particular networking event, but great things can come from just saying yes more. Sometimes moving forward requires some sacrifice. In this case, usually your comfort and time. Saying yes, networking, or doing something completely new could lead you to something even more exciting. I've had great work opportunities and met amazing people just from saying yes more. Trust me, it'll pay off! Have you moved recently? What has helped you build your home away from home?